Led by Travin Thibodeaux's triple-double, the third in UNO history, the Privateers broke open a tied game in the second half and beat non-Division I Florida College 90-63 at Lakefront Arena on Friday night. Thibodeaux, a junior, posted 10 points, 10 rebounds, and 11 assists in the effort. Erik Thomas and Christavious Gill led the scoring for New Orleans with 23 and 20 respectively. Tevin Broyles added 13. 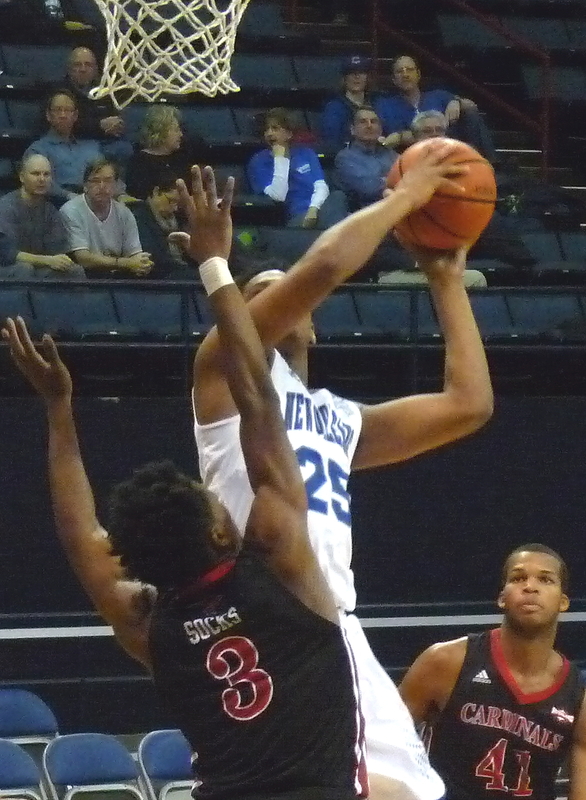 The game was a tuneup for the Privateers' home game against Tulane on Tuesday, but New Orleans got more than it bargained for for a time, tied with the visiting Falcons at 42 in the second half. UNO, however, ripped off 12 in a row at that point and never looked back. UNO hosts the Green Wave on Tuesday at 7 p.m. on the lakefront.